All the staff are so kind and helpful. I find them very approachable and they really respond to student feedback on lectures and module content. 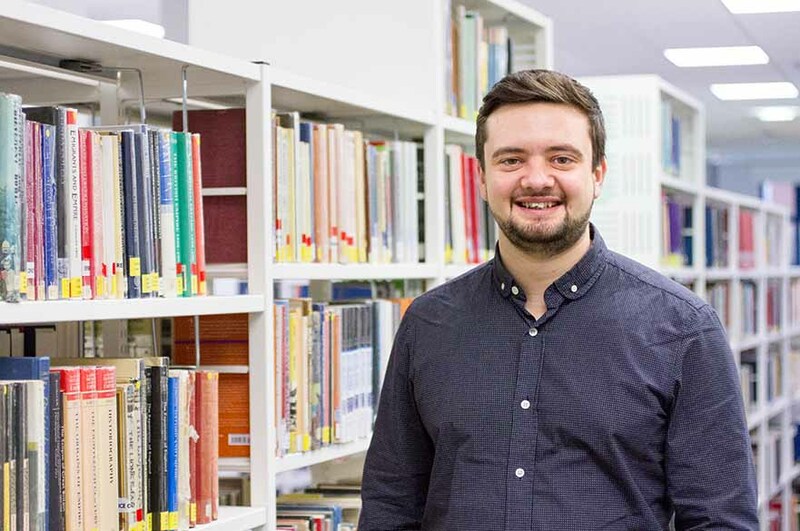 "I have enjoyed lots of things about my course, but if I had to select just one, then the opportunity to learn more about different cultures has been great." "All the staff are so kind and helpful. I find them very approachable and they really respond to student feedback on lectures and module content." "Be prepared to challenge yourself. This is the most important advice I could give, try to be objective and view things from a different point of view because it will help you to become more independent and less reliant on others." Could you please explain more about your year abroad, and what you did during this time? "I lived and studied in Shanghai, China. I lived in rental accommodation with my partner who moved there to teach in an international school whilst I studied at University. I didn’t live on campus, so I feel like I had a very different experience to my peers. Instead of relying on the university to sort everything out I had to arrange it myself. I found private accommodation, arranged our visas and residence permits, paid bills, and liaised with our landlord if we had any problems in the flat. I also found a part time job in private tutoring, this was a handy source of income and it enabled me to fully enjoy the city without worrying too much about expenses." What was the most interesting / enjoyable aspect of your year abroad and why? "Meeting new people was the best thing about my year abroad. I met so many friends that I am still in contact with today. The friends I met were from all over the world and from lots of different cultures so it really challenged the way I viewed things. Their opinions on topics ranging from ‘Brexit’ to English football were really interesting to hear. I’d like to think they valued my opinion too and that I was also able to challenge some of their views." "My communication has definitely improved, obviously I was in contact everyday with non-native English speakers so sometimes it was difficult to communicate exactly what you wanted. However, over time I was able to articulate myself without problem most of the time. I would also say that my navigation skills improved because I cycled everywhere and Shanghai is a massive city!" "I think having the ability to relate to someone and being able to see from their point of view, no matter where they are from in the world is invaluable. Whether it’s in a Social or Business environment, if you can create a mutually beneficial relationship based on trust it can surely only be a good thing." How do you feel you’ve developed as a person during your year abroad? "Even though I was fairly independent before going to China, I would still say I became even more independent during my time there. The culture was totally different to the U.K. and there were many customs I had to get used to that I found very strange to begin with."